First of all the “best roti canai” claim does not come from me yeah. That’s actually the tagline of Valentine Roti which they proudly display on their signboards. 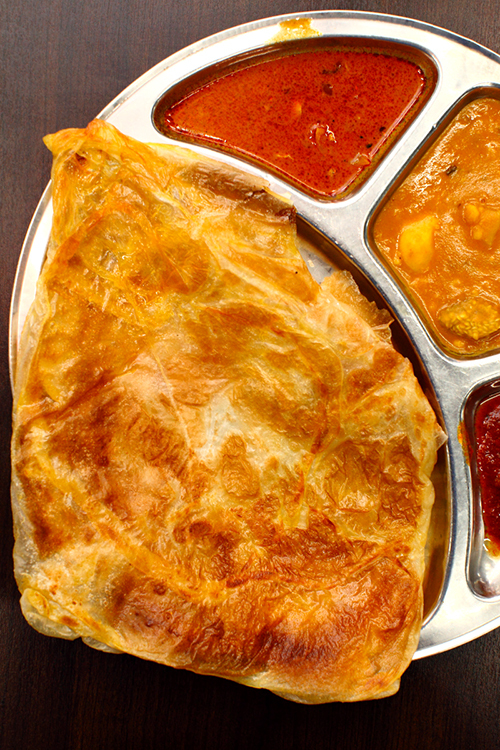 Whether or not they are the best is open to debate, but I can say with confidence that their roti canai is really pretty damn good. 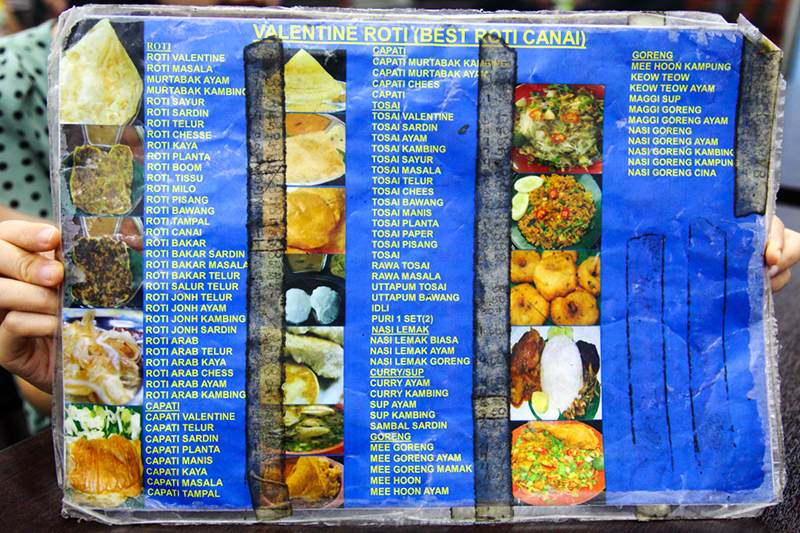 They might not have the longest roti menu but it’d still take you weeks to try everything they have. For only RM2, the Roti Planta is worth every single cent of it and more. This is perhaps one of the best Roti Planta I ever had (the other one was at a food court in Melaka, while I was still studying at MMU) It’s so light that you could almost see through the crispy crust. It is not overly sweet as well which is always a good thing. 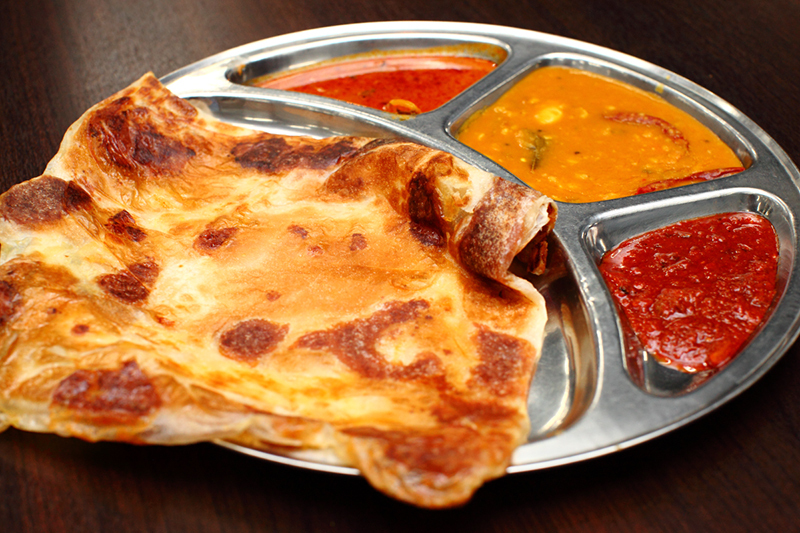 I also heard good things about the Roti Kosong here. It is reputed to be very fluffy and taste so good that it could be eaten on its own without any gravy. But I could only eat so much bread in a sitting, maybe next time. I have always had a soft spot for anything kaya so Roti Kaya is usually in my order whenever I eat at mamak or roti canai restaurants. This was enjoyable as well because it shares the same crispy texture as the Roti Planta (while it’s hot) and you could tell that a good kaya spread was used. However, I’d prefer it more if they spread the kaya more widely on the flattened dough before it’s folded. RM3.50/pc. 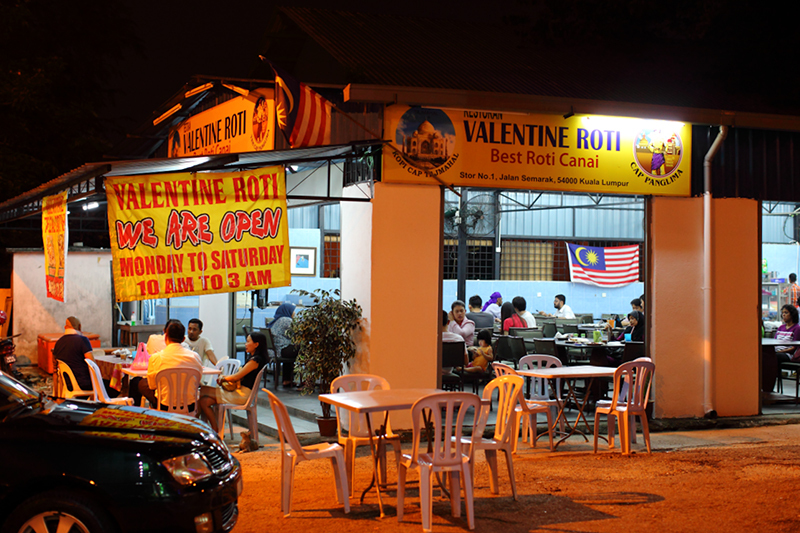 Like many roti canai restaurants, Valentine Roti also has their signature version of roti, capati and tosai. 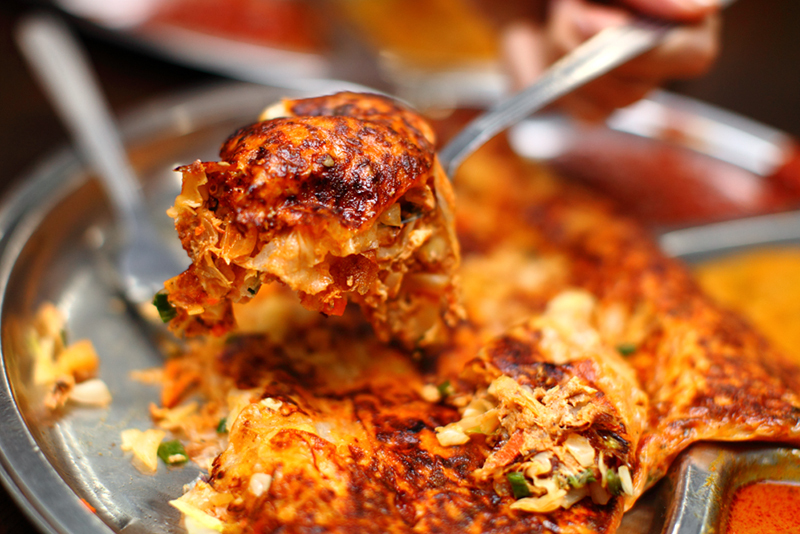 The Roti Valentine @ RM5 is a somewhat improved version of Roti Sardin by adding cabbage, onions and chopped chives. With so many ingredients used, it was a well-rounded and filling enough roti that could be taken as a meal itself. 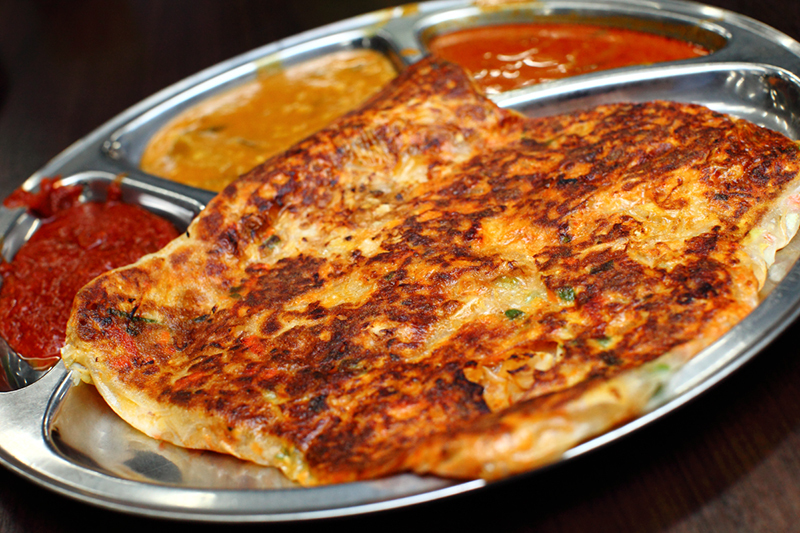 There’s no secret to the deliciousness of Valentine’s roti. 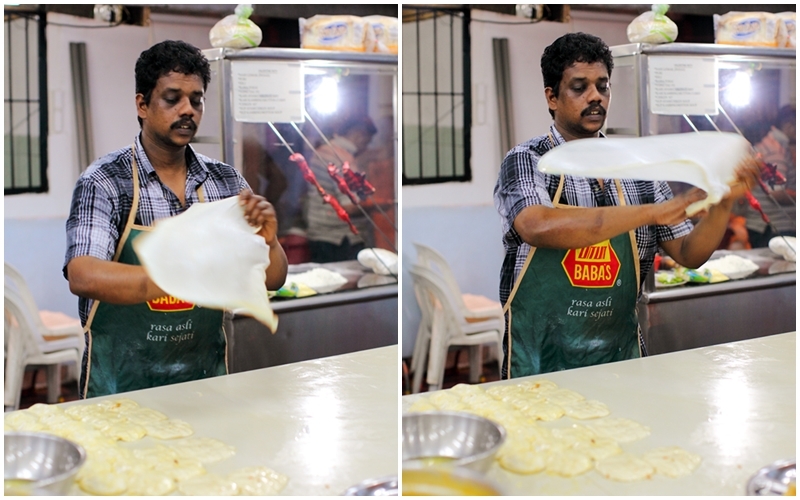 They simply don’t use frozen, factory made dough and insist on making their own (to order) to ensure the quality and freshness of roti they serve. Besides roti stuff they also serve a typical variety of fried rice, noodles and nasi lemak. I am not sure how these would fare but I hope they are as good as the roti canai. 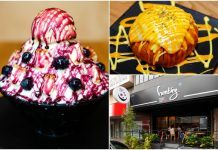 Given that they are only 15 minutes away from my house and the staff is real friendly, I could see myself returning whenever I need a roti canai fix. By the way, they pull a good cup of teh tarik too – the type that I like.